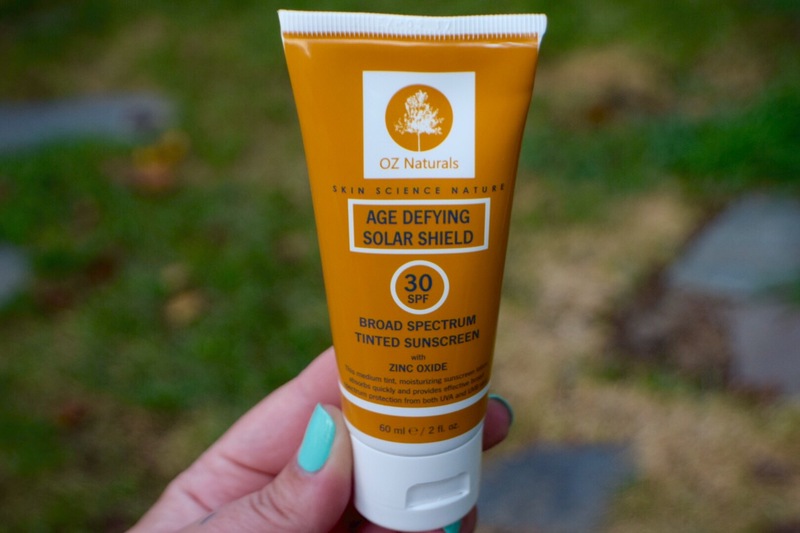 OZ Naturals Broad Spectrum Tinted Sunscreen appealed to me because I can never have enough SPF in my everyday foundations and my current foundation only has 18 SPF. I was lucky enough to try this product for free in return for an honest review. The first thing that caught my eye was tinted, who doesn’t prefer a little pigment while protecting your precious face? Secondly it contains 30 SPF, which is what The American Academy of Dermatology suggest we use on a daily basis. Oz Natural contains Zinc Oxide which is an oxidized metal and therefore natural and is commonly seen in calamine lotion, acne treatments, and diaper rash treatments. You’ve probably already concluded that Zinc Oxide assist in healing and protecting the skin in addition to reflecting harmful UVA and UVB rays from your skin. Okay…enough geek mode. The last element of excitement, for me, was that you can wear this as a foundation or under your foundation. This tint is a medium tone and Oz Naturals claims it is safe for all skin tones, blends with most skin shades, and evens out skin tone. I have to admit that I had a few concerns with a tinted sunscreen. The biggest concern being my face appearing shiny/oily. Regular sunscreen is notoriously shiny on me so I generally like my moisturizer or foundation to have enough SPF so I can steer clear of sunscreen. The other concern I had was the pigment of the tint not matching my skin tone. 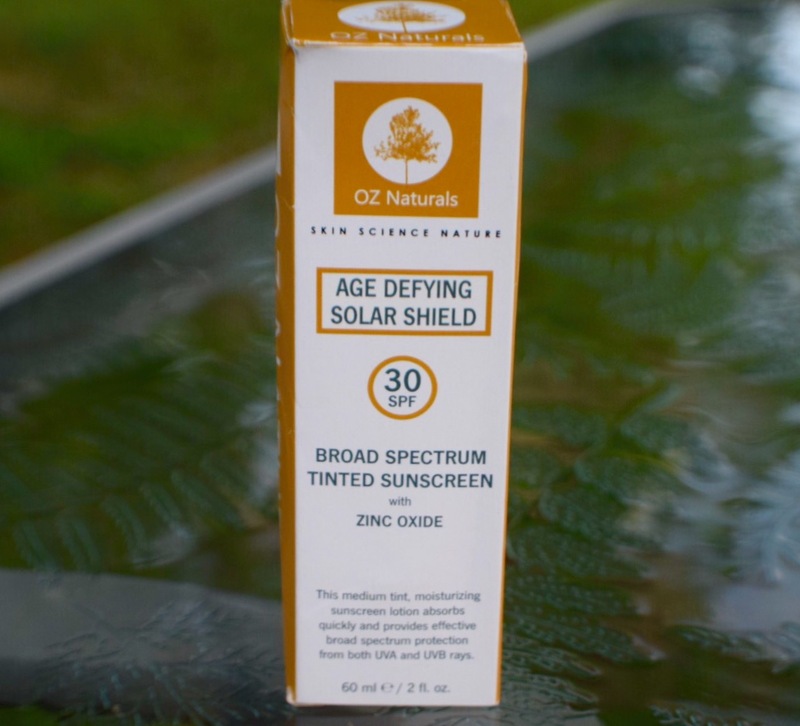 I received a 60ml tube of Oz Naturals Tinted Sunscreen pictured below. I did like the simple but still intriguing look of the product, it did make me think “natural”. When I swatched this I could see that it had a very dark pigment, and it was not to thick to too thin. I tilted my hand in this photo to give you an idea of consistency. Summary: I have had a week to use this and I did so every morning. To be honest, I was taken completely by surprise at how well this blends into the skin. My skin quickly absorbed this sunscreen. I was concerned about pigment but this is super blendable so it doesn’t matter what skin tone you have. 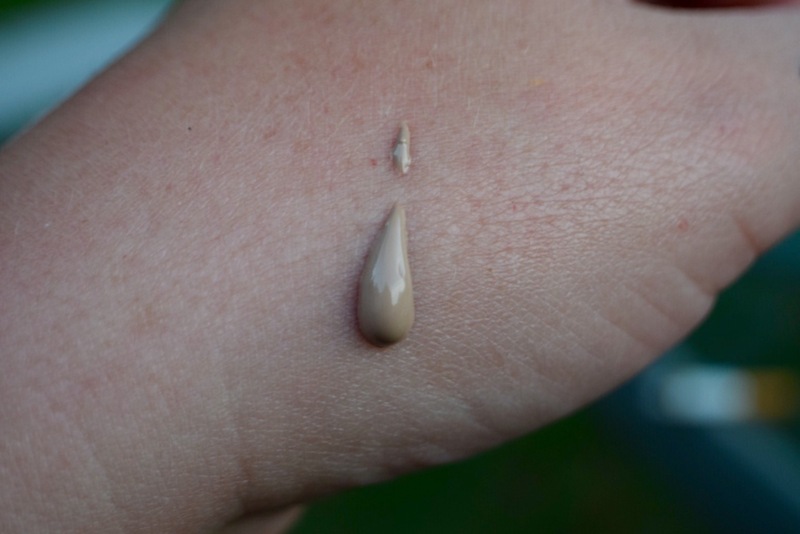 Even the lightest skin tone could blend this product in and still achieve the desired tint. The tint also has an added bonus; you can see exactly where you applied it so missed spots and a blotchy face are impossible. It’s all about the blending with this product. I have monitored my face throughout the day, especially the t-zone, for shiny spots and I did not get shiny with the exception of one extremely hot day so I can’t blame Oz Naturals for that one. This is not a full coverage tint but if you are able to tone it down in the summer, you can get away with wearing this alone. On days when I was extra lazy I wore this product alone and felt completely comfortable. Other days I would apply it first then apply my regular foundation. This looked amazing with a little mineral powder on top.Bottom line is I do love this product and I believe it’s the perfect answer for protecting your face on those sunny and hot days. It’s convenient and serves as a sunscreen and foundation. The photo below shows both of my cheeks, the left side with Oz Naturals and the right side without. The bottom picture shows the above swatch blended int my hand. As you can see it blends really well with a light coverage. 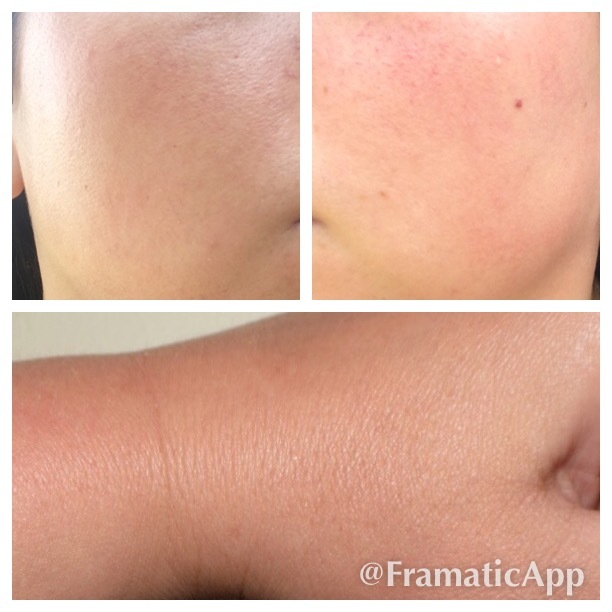 I did apply heavier with a sponge to the areas that needed more coverage….yes this is buildable!! If you are interested in trying Oz Naturals Tinted Sunscreen it retails for $21.99 and you can find it here. Disclosure: Powered by Brandbacker. I received this product for free in exchange for an honest review. This review is 100% honest and my own.